Calm the mind and and relieve the body of stress with this one-hour asana session filmed in San Quentin State Prison. The introductory asana practices on this DVD focus on the fundamentals of hatha yoga: i.e., mindful awareness, conscious breathing and vinyasa flow as meditational movement. The primary objective is to calm the mind and relieve the body of stress under chaotic and trauma-inducing living conditions. Although designed for use in prison, it is suitable as an introduction to yoga for anyone, male or female. 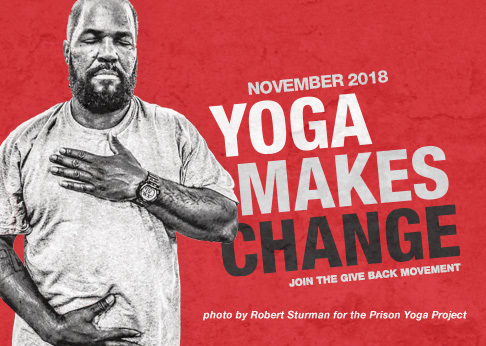 How you’re giving back: When you purchase A Path for Healing and Recovery, you’ll help to fund yoga resources and programming for men and women behind bars.